Space Solar Power - The Major Future Energy Source? Usual method of solar power collection is having some limitations. They can not be used in winter season and there will be downtime (i-e night time) due to earth rotation.. Space-based solar power (SBSP) is coming as an appropriate energy source without these limitations. One year back NSS had taken initiate for developing SBSP by launching Kalam-NSS project. Read below the article written by our Staff "Pradeep" about the SBSP. World’s human population has reached 7 billion. And so is the energy consumed by this mammoth population, and this energy consumption is shooting sky high. And all the nations are keeping electricity production as a primary focus as electricity forms the basis of any country’s growth and progress. And every nation is trying every possible option to generate electricity. The natural reserves like Coal and oil are being extracted at a very faster rate that these reserves will hold only for few decades. Hence the only option is renewable resource. A giant leap is required in this regard and this the right time to initiate such kind of projects keeping the future in mind. One such ambitious project is Space Solar Power. Usually most of us would have heard and read of solar panels being placed in desert and rooftops over the house to generate electricity. But this space solar power technology is quite different where the solar panels are placed in space to generate electricity and thus generated electricity is beamed back to earth. This might look like a sci-fi idea in a Hollywood movie and a question might arise in every one’s mind is this feasible the answer is “YES” and this project has been initiated. Before discussing about the Space Solar Power we should know the benefits of placing the solar panels in space. · Sun looses most of its intensity on the way to earth in such case around 80% is lost on its way due to the earth atmosphere. Many companies like Solaren are in the process of implementing this space solar power project. Apart from them nations like USA , Japan , India , China are also showing immense interest in this project . The implementation of this project is as follows giant solar panels are constructed and are lifted to space by means of the Rockets and are stationed in space. These array of solar panels generate electricity from the sun’s rays, and thus produced electricity will be beamed back to earth by converting them to microwaves. These microwaves will be received by the ground receiving station and will once again can be converted to electricity. But problem with this microwaves is they will require a large receiving area in the ground hence lasers can be another ideal option . Fiber optic lasers can be used beam the energy to a very small area. The benefitswe get out of this project is practically limitless.We can beam the energy that is produced out of this space solar power to any place in the world provided we have a receiving station there. This can be directed to power military camps in remote area and space radars for more detailed surveillance. As the source of electricity is renewable and there is no issue of green house gas emission. Above all it is a reliable source of power . This project even though might sound extremely beneficial there are few hindrances to this and the prime hindrance is cost Japan has invested a whooping 21$ bn USD on this project and Chinese have planned to execute this within 2050 , And recent pact between India and US has thrown positive signs on a collaborative project , Considering the vast experience both these nations have in the space exploration this is not some thing un reachable . The day is not far away when the power generated by space solar station can power our homes. You can visit the site http://www.spacesolarpower.info/ to know and read more information about this Space Solar power project. Here are few instances of the content you can find from this site . · Space solar power is a power generation system where the solar panels are placed in space to generate power from the sun’s rays and thus generated power is beamed back to earth with the help of microwaves or laser see more. · With the rapid expansion of human population the energy consumption has also increased and depending more on the fossil fuel is not a good option as they will run out very soon. Hence projects like SBSP can power the future world ..
· Practically the benefits we attain from placing these solar panels in space has lot of benefits than we place them in ground . In space sun never sets and hence we can produce power round the clock click this to see more. project . In order to cope up with the growing power needs they have to switch over to other source of power like this space solar power . And japan is investing a mammoth amount of $21 billion see more. · Space based solar power is one of the still untapped huge energy source and if this is well harnessed this can power the whole world and prevent the green house gas emission see more. · Works are underway to enable the Solar powered satellites to power 250k homes all around California by the year 2016. see more..
· During the course of finding more electricity we are depleting the natural resources beyond the condition that it can be repaired . SBSP is a promising one that can maintain a balance between the power production and healthy environement . 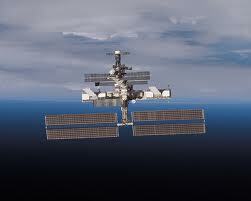 see more..
· The energy generated in the space station is converted into microwaves and are sent back to earth. .But in order to receive microwaves number of antennas have to be installed over a wide area hence lasers are another option to transmit power from the space see more..
· Even though this project might look like that it consists of limitless advantages it has to overcome lots of barriers to implement them see more. · Astrium a segment of EADS (European Aerospace group) has been in close collaboration with other leading space agencies to implement the Fiber optic laser to beam power from space station see more. .
· In the year 2008 Pakistan government temporarily suspended the kyber pass the route that is used by the US and UN to transport the essentials to its forces in Afghanistan . The main issue is not ammunition or food these things can be airlifted but the real problem is transporting fuel . Since then US military has thought of an idea to implement Space based solar power see more. · Space Radars are the radars which are stationed in space in low orbit to track the movement of enemy movement and infiltration this kind of monitoring helps a nation to keep a broad eye on its enemy better than ground based radar see more. 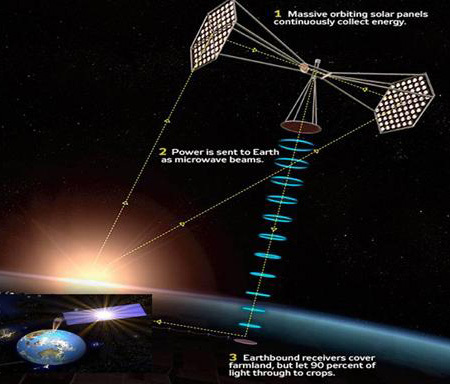 · Space based Solar Power project is a very promising long term technology option to power the world . But an interesting prospectus in this SBSP technology is also be used to enhance and further improve the security of a nation . see more. · Read about china’s four step execution process of Space Solar power . see more.